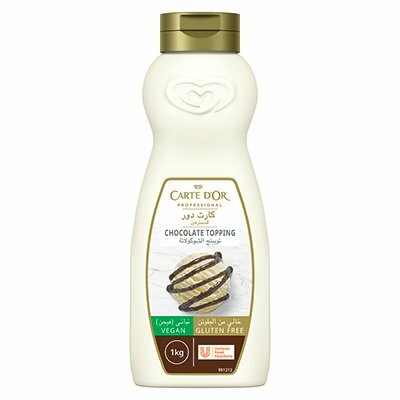 Carte D'or Chocolate Topping is a classic chocolate sauce with the finest taste and a delicate creamy consistency. The silky sheen makes it the perfect chocolate sauce for garnishing ice cream, frozen yoghurt, cakes and pastry decoration. The high cocoa content makes it also perfect for milkshake preparation. Glucose Syrup, Sugar, Water, Cocoa Powder, Acidifier (Citric Acid E330), Preservative (Potassium Sorbate E202) And Vanilla Flavour.